Inspired by Hollywood actor Al Pacino and his classic movie, The Godfather, a new restaurant has mushroomed in the city. Pacino’s has an ambiance that is inspired from the movie and walls covered with Al Pacino's face. Situated near the Audi showroom in Pashan, Pacino's is a spacious restaurant that's capable of accommodating 150 people. Ideal for parties, small get-togethers with your buddies, Pacino’s also has cabanas. The cabanas are ideal for a group of six, so you can take your squad and celebrate a special occasion here too. 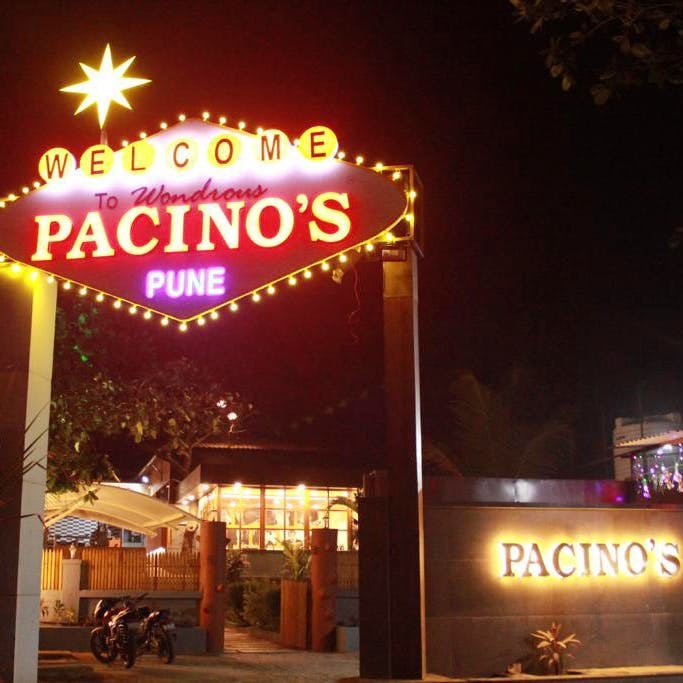 Apart from their ambiance, Pacino’s serves cuisines varying from North Indian to Chinese. Along with the regular dishes that you find, their chef suggests lemon chicken, chicken cheese and mushroom chilly as their signature dishes. Do try out their seafood and Chinese dishes, we hear that’s their chef’s specialty.